Affordable Wagyu and Angus beef, unlimited lamb, and more! (SPOT.ph) We have matcha to be crazy about this week! That's right. 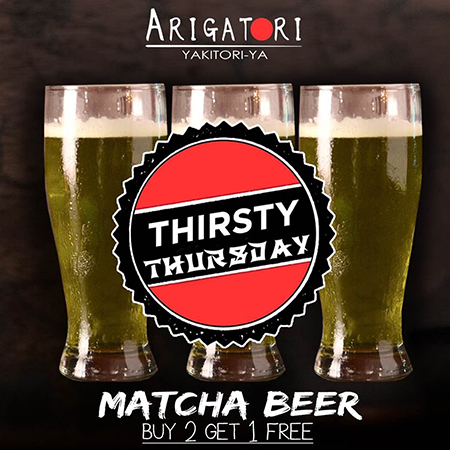 How about free matcha beer? 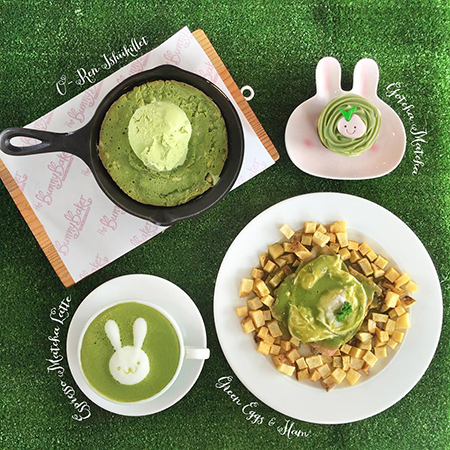 How about discounts on matcha-flavored dishes? 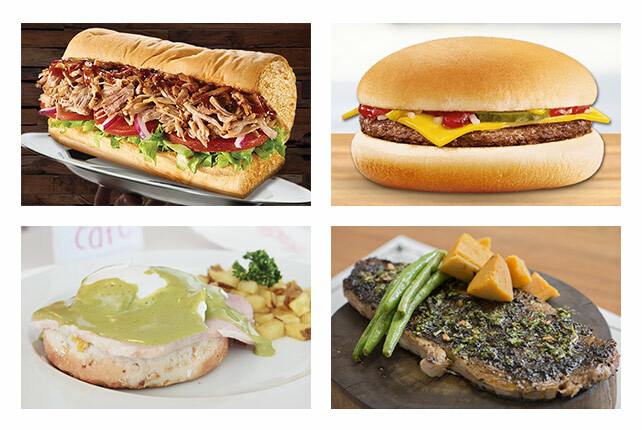 Plus, deals from Subway, free burgers from McDonald's, and more! 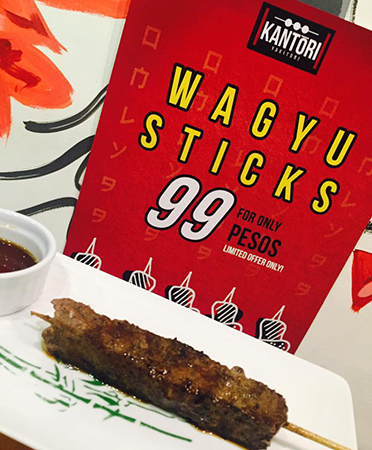 From now until June 17, Kantori Yakitori's Wagyu beef skewers are selling for only P99. It's part of their anniversary celebration! 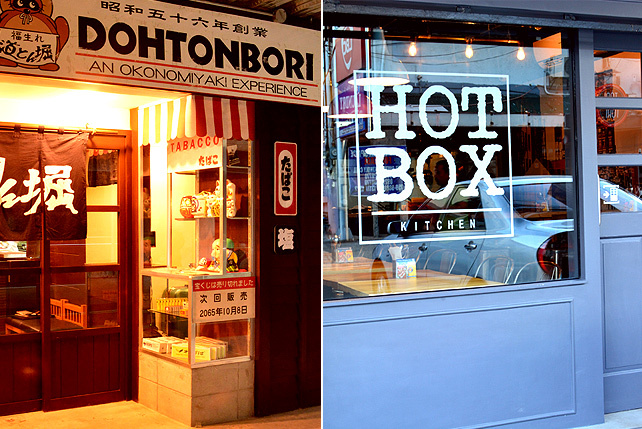 Kantori Yakitori is at 51 Aguirre Avenue, Parañaque City. 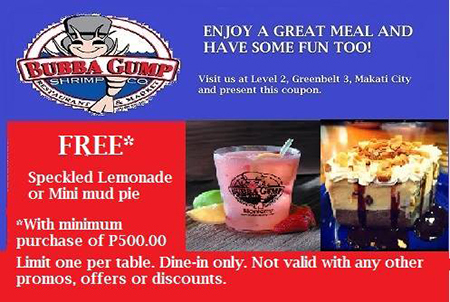 For a minimum purchase of P500, you can get either Speckled Lemonade or Mini Mud Pie on the house. Every table is only allowed one freebie. Bubba Gump is at Greenbelt 3, Makati City. Let us help you read that fine, fine print. 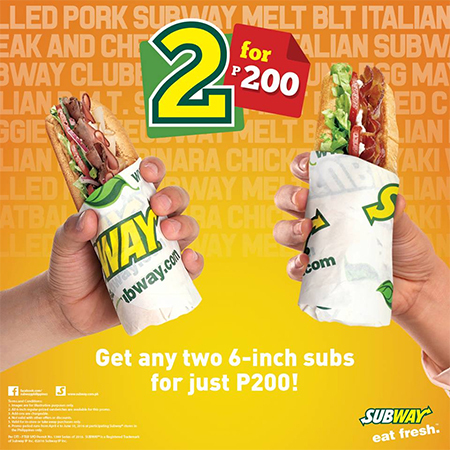 Up until June 10, you can get two six-inch sandwiches from Subway for only P200. Looking to improve your Mondays? All matcha items on the menu will be selling with a 20% discount. You better be thirsty on Thursdays. On Thursdays, this yakitori joint is giving a complimentary third beer for every two matcha beer orders. It's available only in June. Arigatori Yakitori-ya is at Acacia Grove, Multinational Avenue corner Judea Extension, Muntinational Village, Parañaque City. 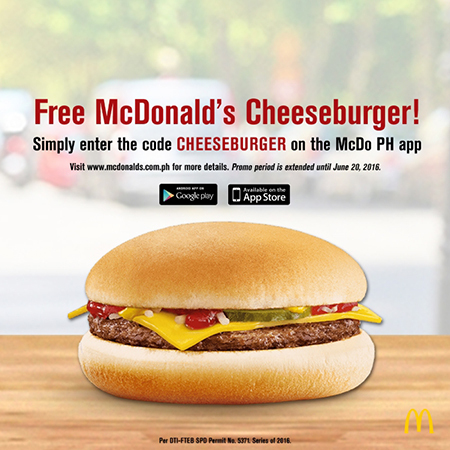 Download the McDonald's Philippines app (it's free, by the way), punch in the code "CHEESEBURGER," and redeem your free burger. McDo extended it till June 20. Happy fifth birthday, Nav. 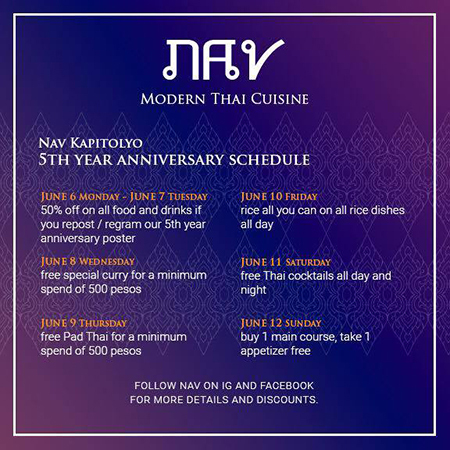 The Thai joint is celebrating with week-long deals: repost their anniversary photo on June 6 to 7 and pay only half price for your meal; on June 8, orders worth P500 get a free curry dish; on June 9, orders worth P500 get free pad thai; on June 10, it's rice-all-you-can on all rice dishes; on June 11, they're giving away free Thai cocktails; and finally, on June 12, every main course comes with a complimentary appetizer. Carnivores are going wild on June 5. 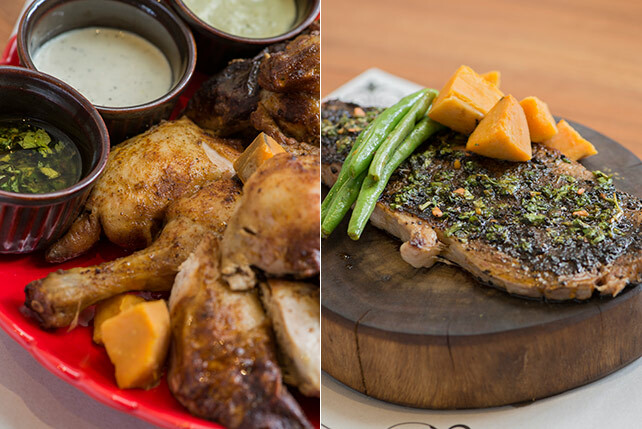 Sobremesa is offering all their major meat dishes (coffee-crusted steak, grilled lamb, and Peruvian chicken) unlimited for only P800. Sharing and takeout is not allowed. 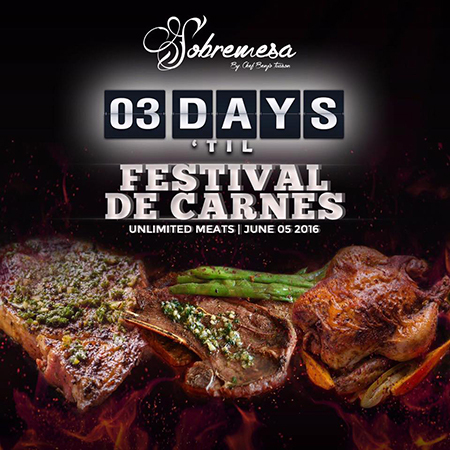 Read more about Sobremesa's meat deal. Sobremesa is at Sapphire Bloc, Sapphire Road, Ortigas, Pasig City. 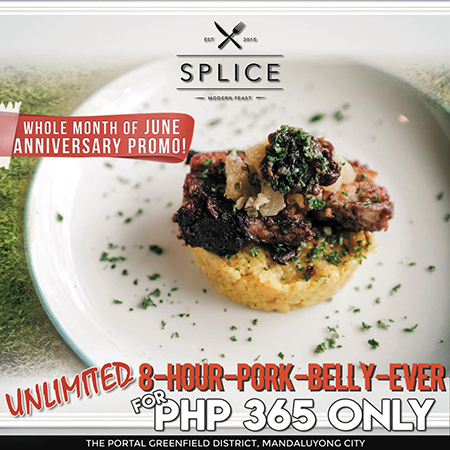 In honor of Splice's anniversary, they're offering unlimited eight-hour roasted pork belly for P365 this entire June. Read more about Splice's unlimited deal. Splice is at Greenfield District, Mandaluyong City. 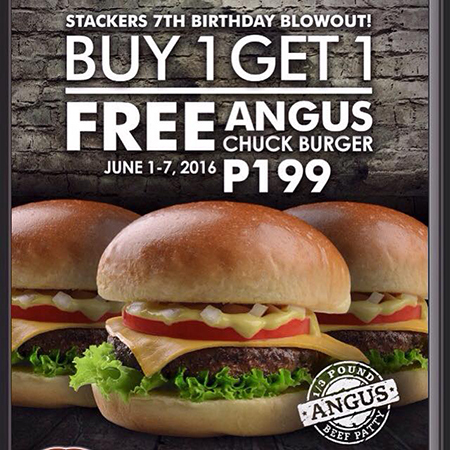 Up until June 7, Stackers is offering buy-one-take-one one-third-pound Angus burgers for P199. 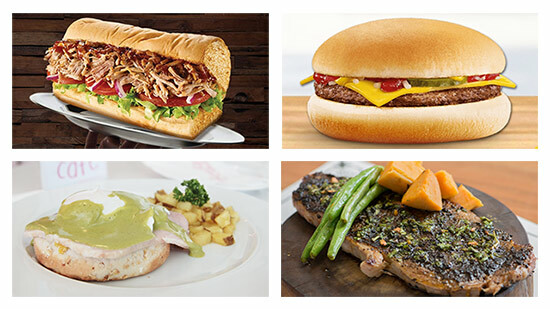 Stackers Burger Café has branches at Eastwood City Walk, Quezon City; Alabang Town Center, Muntinlupa City; Promenade, San Juan City; and SM North EDSA, Quezon City.